Start with the bit just behind the canines. The bit diameter should be small enough so that your dogs mouth can close comfortably, but large enough that it will not spin when your dog picks it up. One way to measure bit length is to place a dowel in your dogs mouth just behind the canines and mark on either side where your dogs lips touch the dowel. Measure between the lines. If your dog has big jowls, tuck them in tight before marking the lines. The ends should be big enough so that it is flush with the end of your dogs nose. (This will prevent your dog from bumping his nose when retrieving it). The ends should also come just below your dogs eye, so that he can see over it. One way to measure this is to cut a square piece of cardboard, punch a hole in the middle, and place it on the end of a dowel in your dogs mouth. 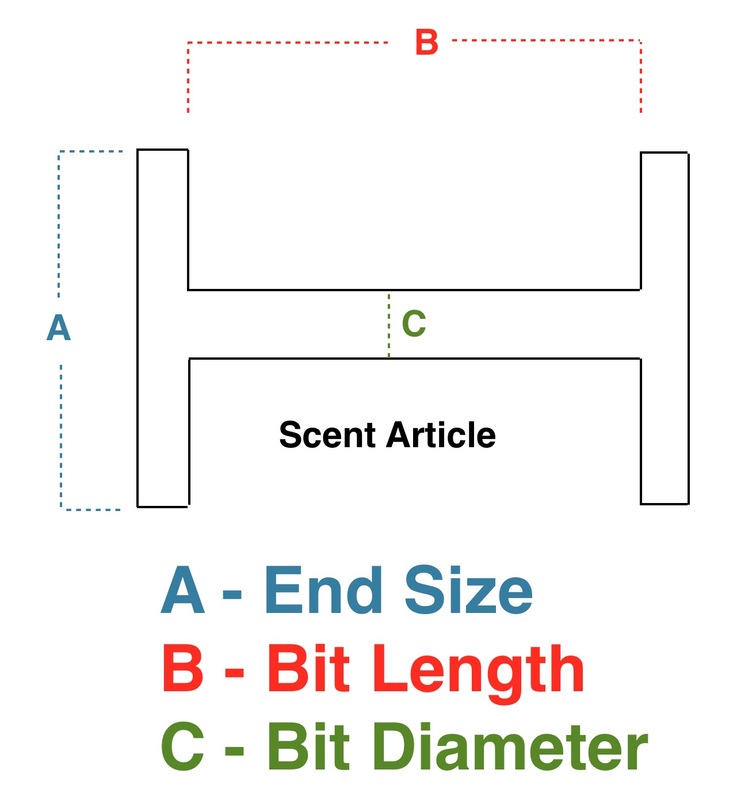 If you have a scent article that fits good, measure it like the pictures below.